Does your school culture evoke tears of joy? A little over a year ago, I arranged for our local KNDU/NBC news station to send someone out to do a story on our school during the Anti-Bullying month of October. I was told that they’d be there no longer than 45 minutes, as they had an important story on the other side of town that same morning. While the manager allowed for ¾ of an hour he expected his reporter to be in and out in about 20 minutes. As the news reporter arrived on campus nearly 30 minutes before school was to start she was struck by our daily Wildcat Nation greeting. 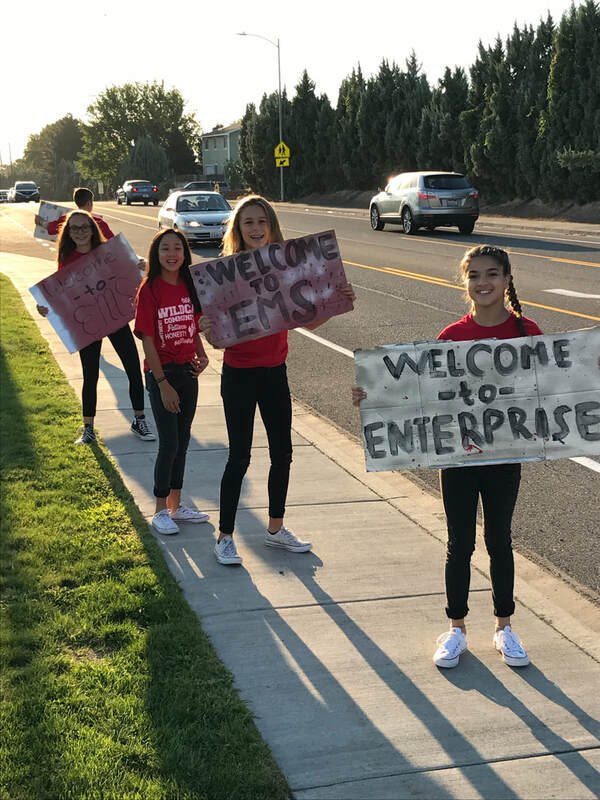 At Enterprise Middle School, we start every day with high fives, fist bumps, music and warm hellos as people walk in the main entrances. It’s an intentional move to increase school positivity and school spirit through personal connection. “Why isn’t EVERY SCHOOL using this Character Strong program,” she uttered through a puddle of tears? Klauss and I exchanged a quick surprised glance as if to say...what the heck just happened? This unexpected turn of events clearly caught us both off guard. As Klauss reached for tissues, I began to say: “Well I guess that’s why you’re here today...so you can help spread the word about how important this work and this program are.” I’m sure we both muttered something else as well but to be honest I was slightly taken back by this unlikely chain of events. A moment later, the news reporter got really quiet and stopped crying for a moment. Again, Klauss and I made eye contact as if to say...ah oh...what’s gonna happen now? “Why wasn’t it this way...when I was in school,” she said in a strong somewhat angry tone. In the next few minutes, as we comforted this beautiful soul and began to shift back towards laughter, a couple things struck me on that breezy fall day. Her tears were not about sadness. In her own words, she was overcome with joy at how incredible our school culture felt. The welcoming atmosphere. The family like mindset. Having been in school herself and then done stories on local schools she simply had never come across a feeling of positivity quite like that morning. Additionally, something special was happening at Wildcat Nation. Something sadly outside the norm for education. Indeed, we were suddenly on a path towards an Award Winning Culture. But more importantly, I was reminded at how important our educational work is to people around the world. People’s experience with school culture sticks with them...for years. We have an obligation to strive for an Award Winning Culture EVERYDAY! This news reporter nearly 20 years removed from middle school had absolutely held tightly to the painful, awkward, and embarrassing moments. For nearly 15 minutes she regaled us with tales of mean girls, harassment, and disinterested educators. She detailed the daily struggles that her and her peers experienced throughout her teenage years. In truth, she had previously viewed middle school as a survival badge of honor...rather than a rewarding and meaningful learning experience. Prior to October 11, 2017, she couldn’t even fathom a middle school authentically focused on kindness, service, and empathy. The idea that school could be welcoming, engaging, and filled with Character Strong students and staff was incomprehensible. At Wildcat Nation we’re striving for greatness everyday. And while most days we probably come up just short, I’ve held onto this moment as an example of how powerful culture and climate can truly be. Award Winning Culture has the power to heal old wounds within the safe and welcoming confines of the school house. **How will your culture alter the emotional, educational, and behavioral trajectory of a new student? **How might parents feel as they walk into your building? **Does your culture have the power to flip a student’s life path? **What images are conjured up about your school, by local community members? **How are rival sports teams treated in your house? **Does your staff LOVE coming to work everyday? I guess the real question is…. How might YOU elicit TEARS OF JOY Today? Houston Kraft, Speaker & Kindness Advocate from Houston Kraft on Vimeo. 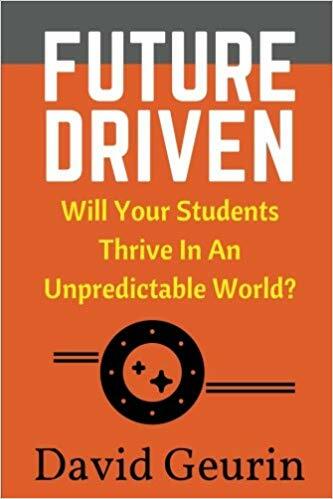 David Geurin: Sparked by a chance encounter at the National Principals Conference last summer in Chicago, David’s book “Future Driven” (#FutureDriven) and his regular blog posts have probably had more impact on me than any other piece of writing this year. Beyond an expert author and award winning principal, David is just a FANTASTIC person! I feel like David and I are destined to work on a project of some sort. Hope to see you in Boston this summer David! Barbara Bray: The #1 best blog post I read this year, belonged to Barbara! She’s uber passionate about student engagement, student choice, PBL, student empowerment and helping students discover their WHY. I’m thrilled to have made an appearance on her groundbreaking podcast ReThink_Learning and I’m confident we’ll collaborate on something exciting again soon! Thanks for all your support Barbara! Amy Fast: Amy has the uncanny ability to deliver the most salient, on-point, bite-sized educational beliefs in education. I suppose, it’s no surprise that every tweet she sends goes viral, given the messages are directly taken from her inspirational own book: "It’s the Mission Not the Mandates." 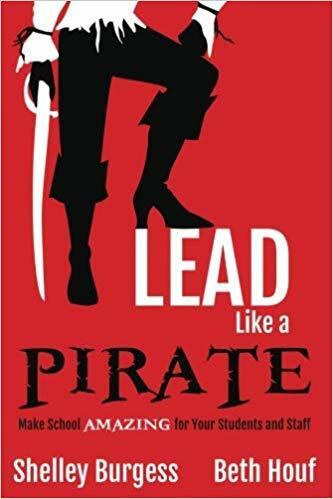 A must read for every educator. I’m hopeful that our paths will cross soon, since she’s relatively close proximity from my district (McMinnville, Or to West Richland Wa)...not that far! Amy is that rare rockstar who seems to be unfazed by her own popularity. #Humility Thanks for making education stronger! Beth Hill: It's impossible not to be aware of Bethany Hill in Twitterverse. Her #JoyfulLeaders is just the start to her POSITIVE contributions in education. Although I only briefly met her this summer, I know we’ll connect again soon! She’s a must follow for sure! Looking forward to reading her upcoming book. If you need someone to review it Beth, I’d love to get a sneak peak! Thanks for sharing your JOY everyday! Marissa Thompson: Marissa Thompson may be one of the best teachers in the country and wrote one of my favorite articles this year for DisruptED TV Magazine. She’s quickly become a key PLN member to me in student centered learning, flexible seating, and student engagement. Look forward to continuing to learn from Marissa in 2019 and beyond! Check out her article on DisruptED TV Magazine: "Education Without Limits." Chuck Poole: Chuck is my daily inspiration! He works tirelessly to provide insights, love, and support to his fellow educators. He’s written a spectacular book: “Unforgettable”, and is a regular podcaster and blogger. His Techonomy resources are meaningful beyond words. Thanks for all your hard work to make me and other educators better everyday! Meghan Lawson: Megan and I quickly bonded over our passion for kindness last year but have moved on to connect over student empowerment. 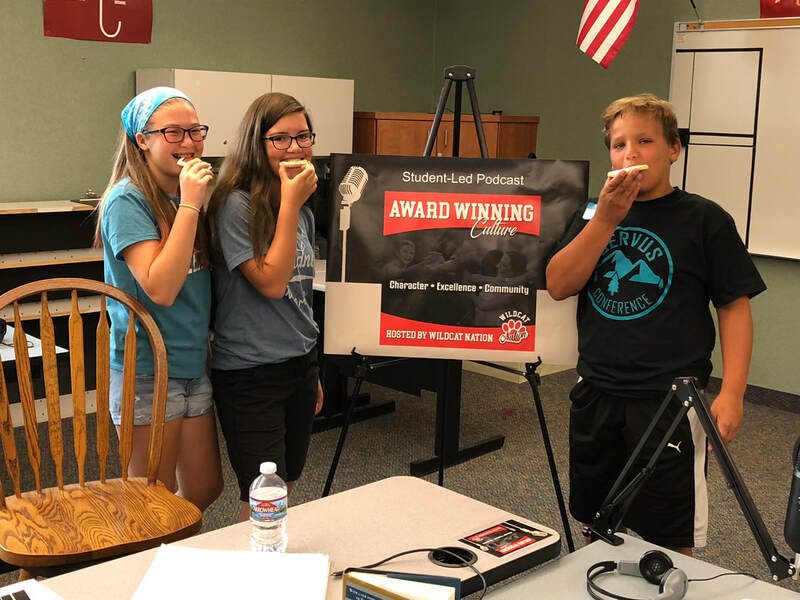 She’s been a huge supporter of our student-led leadership podcast and was kind enough to give some of my students an opportunity to recently showcase their work to curriculum directors in the Cincinnati area. My wife and I were thrilled to observe our leadership podcasters presenting to adult educators over Skype. REAL WORLD LEARNING AT ITS BEST! Such an incredible learning opportunity for everyone involved. I just think the world of Megan and I’m grateful to be connected to her! Check out her incredible article in DisruptED TV Magazine: "What If Conversations Could Change out Schools." Mariah Rackley: Mariah might be my biggest inspiration on telling my own school’s story. The volume of tweets, pictures, and videos that Mariah shares over social media about #CCMS or #FalconPride leave me in AWE! She’s so passionate and positive that I feel lucky to call her a colleague. I have no doubt that Mariah and I will collaborate on something special real soon! Here's a look at Mariah's Wakelet page. It's no wonder she won the 2018 NASSP Digital Principal of the Year! Melissa Chouinard-Jahant: Melissa is one of my favorite people I’ve never met! She’s a source of ideas, support, and encouragement. Despite not having written a book yet (that I know of)...she’s probably the BEST WRITER on this list of 50 disruptors. She writes blogs, stories, poetry, and even screen plays! Her writing lives me speechless! In addition she moderates multiple twitter chats. Thanks Melissa! Here's her blog pages: Practical Rebellion and iteacher imother. Jimmy Casas: Jimmy has been one of the biggest catalyst to my work on creating an Award Winning Culture. I’ve seen him speak multiple times this year and have read 3 of his game-changing books. One of my highlights of the year was being asked to preview STOP. RIGHT. NOW. and provide a review. To think that someone I admire and respect so much...would reach out to me: MIND BLOWING! Jimmy’s presentations, books, and consulting work are second to none. Thrilled to be connected to such an educational giant! Jimmy's Website. Rachelle Dene Poth: Rachelle is such a prolific writer! Her posts, articles, and boundary pushing indicate to me that she’s very often, the smartest person in the room. I’m overwhelmed by her work in edtech, student-centered classrooms, and PBL. Her writing will be a focal point for me this coming year. I look forward to continuing to learn from such a rock-star! Rachelle is a MUST WATCH in education for the coming year! 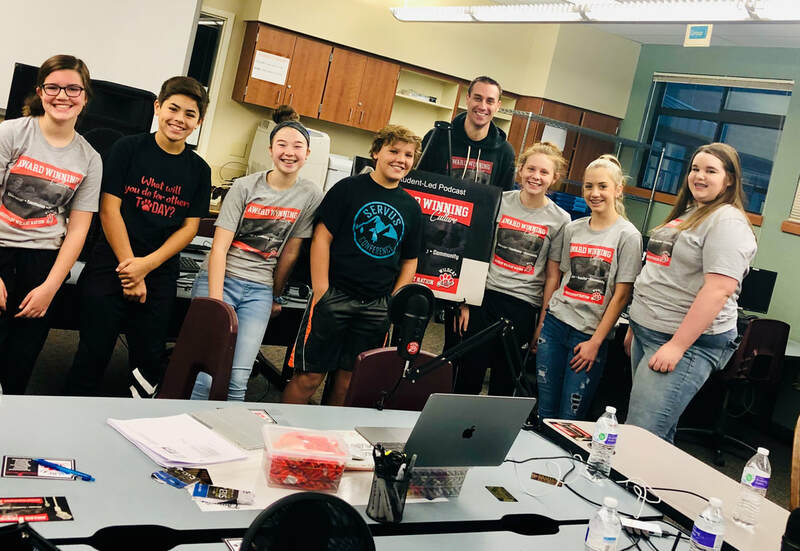 Roman Nowak: Roman’s work with creating cultures of kindness through regular writing, chats (#BeKindEDU), and messaging continues to create a ripple of kindness around the world. We’re thrilled to have him as an upcoming guest on our Award Winning Culture show! Look forward to continuing to learn from this kindness expert! Roman's blog page. Jeff Zoul: Jeff is another educational disrupter who’s work challenges me to think, behave, and explore school culture in exciting new ways. I deeply respect Jeff's drive for excellence. His latest STOP. RIGHT. NOW. falls into the same upper echelon of educational literature than will simply empower you to be a better version of yourself. He’s the real deal and I look forward to connecting with him in real life very soon! Thanks for striving for an Award Winning Culture everyday Jeff! Jeff's blog page. Jennifer Hogan: Jennifer is one of the most GENUINE people I met this year! She has a heart for supporting students and educators and she THINKS like an uplifting COACH! Loved meeting her in Chicago this summer and staying connected on social media. She’s one of a kind and I’m excited to be a regular subscriber on her new podcast: “Rising Tide Radio.” The fact that she’s a talented blogger (Co-leader of the Compelled Tribe ) and speaker is just icing on the cake! Thanks for all your support "Niff"! Dave Burgess: I’m eagerly anticipating Dave’s upcoming appearance on our Award Winning Culture podcast. Our kids can’t wait to interview a real-life pirate! 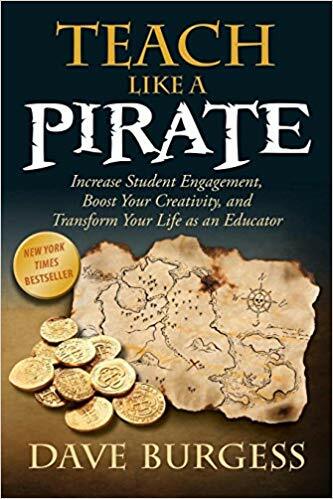 His "Teach Like a Pirate" bestselling book is simply legendary in educational circles. Perhaps, no one person has done more to elevate educational literature in the past 5 years than Dave. Indeed, every book I’ve read, from Dave Burgess Consulting has been a HOMERUN! With my own aspirations of completing my first book this year, DBC has been a huge source of inspiration. Allyson Apsey: Allyson is a sweetheart who I’ve been thrilled to count in my PLN. 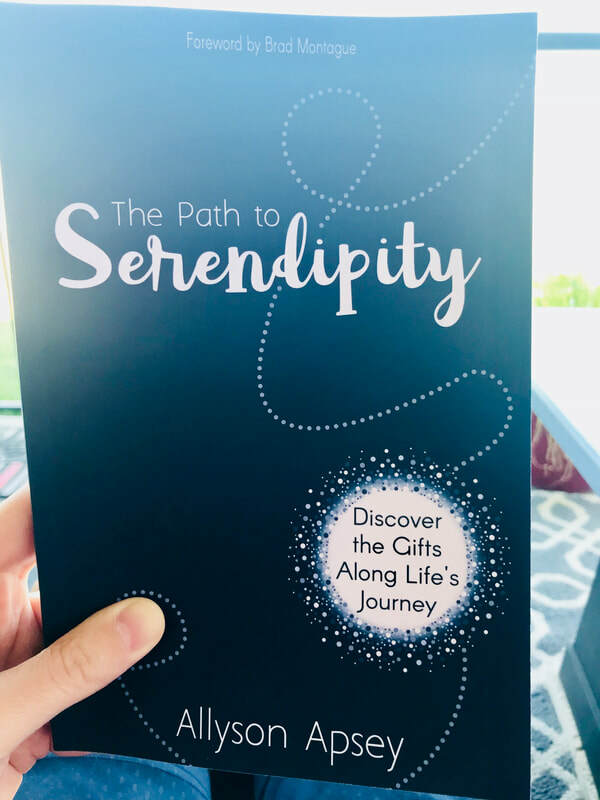 She wrote an incredibly moving book called "Path 2 Serendipity", which I loved! Our school even got to help edit and preview one of her latest book projects. 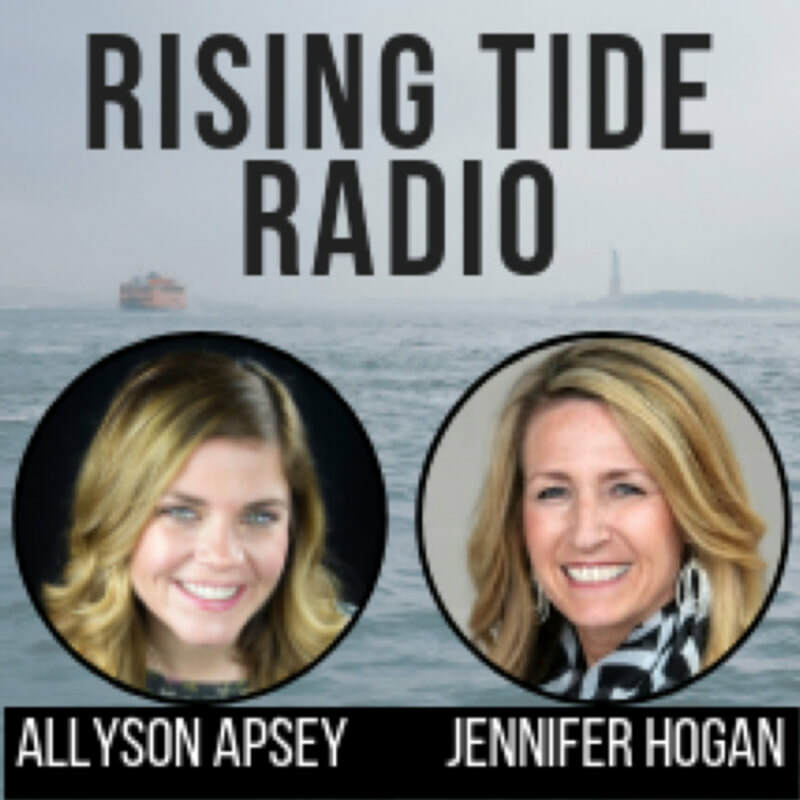 Her new podcast: “Rising Tide Radio” is sure to be a hit and I know 2019 will bring much Apsey AWESOMENESS! Dr. Jessica Stephens: After creating my favorite hashtag (#LoveWorks) Jessica has become one of my favorite PLN members. She leads with her heart and believes that all students are capable of fulfilling their dreams. Keep spreading the LOVE! Thanks for being so WONDERFUL Jes! Here's her blog page. Josh Stamper: Another must-listen podcast is Josh’s “Aspire.” He does a masterful job of stepping out of the spotlight and letting the guests shine! This is another podcast I hope to be apart of, in the future. Love the leadership takeaways Josh! Great work! Here's Josh's blog page. Barbara Gruener: Barbara is one of the most SELFLESS people in education. She’s a kind soul with a burning fire to create student success! Her writing, podcasting, and speaking have made her a household name in the counseling profession. Excited to have my AWC podcasters on her show and I know Barbara and I will connect in real life soon, thanks to all her work with Character Strong. Barbara's Blog Page. Pete Hall/Kristin Souers: After reading “Fostering Resilient Learners” and hearing Kristin speak this fall, I’m very excited to dive into their new book “Relationships, Responsibility, and Regulation: Trauma Invested Practices for Fostering Resilient Learners!” Pete and Kristin’s work on creating trauma informed classrooms is best practice and a perfect formula in how to create an Award Winning Culture! Michael Mattera: Perhaps, no one taught me more about creating cultures filled with FUN and high level ENGAGEMENT than Michael. His Gamification book “Explore like a Pirate” is the bible of Game related learning. 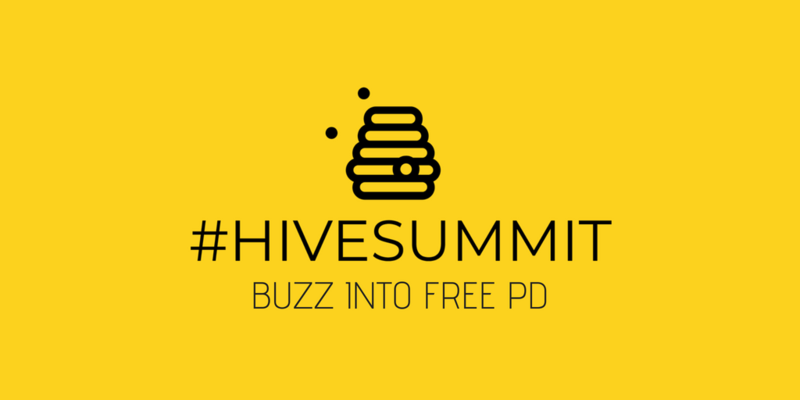 His writing, Youtube channel, and events like the HIVE Summit have catapulted him to a must follow. Thanks Michael for making learning fun! Elisabeth Bostwick: Elisabeth proves that teachers are some of the strongest leaders in education. I’m ready to get my hands on her new book “LEAP Effect.” Elisabeth is a successful speaker and Co-founder of LeadUpTeach You Tube Podcast. Thanks for LEADING UP Elisabeth! Tara Martin: Tara put out such STRONG content this year that I felt compelled to cite, and or mention her work on numerous occasions this year. Her book “Be REAL: Educate from the Heart,” was UNREAL! So, so GOOD! She’s a perfect example of modeling authenticity. This year I’ve rejoiced in learning about #BookSnaps as well. Tara is one special person! ​Tara's Website. Mae Ward: Mae is the type of teacher we all hope our own child gets! Passionate. High Energy. Lead Learner. She’s been a great addition to my PLN this year and her insightful, well thought out blog posts always push my own thinking. Thanks for all your support and leadership! Love it Mae! Roger Davis: Roger is one of the key encourager I’ve had this year. He’s a supporter of all things great in education! I deeply value his feedback with EVERYTHING I write. I so appreciate your kindness, your impressive graphics, and your passion. Thanks for making me better Roger! His blog page. Laurie McIntosh: I’ve known of Laurie, since learning about her passion for kindness on the Ellen show. I feel very fortunate to have her in my PLN as she’s such an uplifting person. Thanks for making Kindness Normal Laurie! Laurie's blog page. "Getting Gritty in a Middle School Math Class." Jeff Kubiak: The titles of principal, author, and consultant really don’t do Jeff justice. He’s a rare talent who’s an advocate for students, educators, and learning. Looking forward to his upcoming book! I’m anticipating 2019 it to be a BIG year for Jeff! You rock yo! Jeff's blog page. 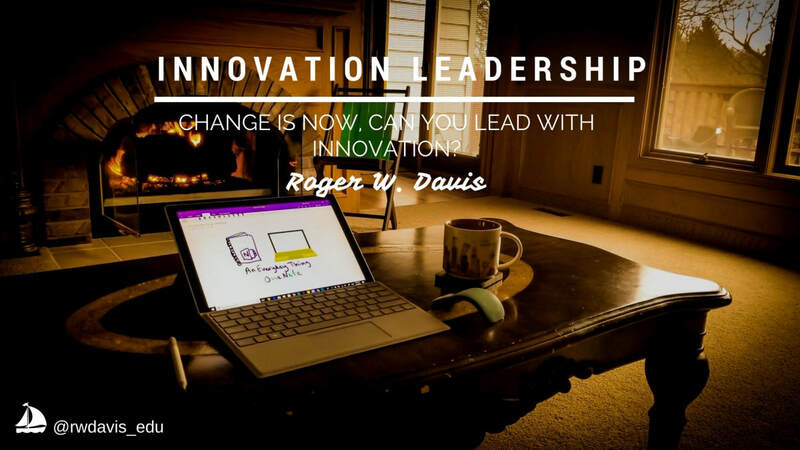 To the 50 educational disruptors identified in this post and the hundreds of other co-workers, friends, family, colleagues, and PLN...THANK YOU! Your support, love, and inspiration have spearheaded student success all around the globe. ​Now, let's go ATTACK 2019 WITH A RELENTLESS SPIRIT! As a long time champion of Chicago Sports (BEAR DOWN!! 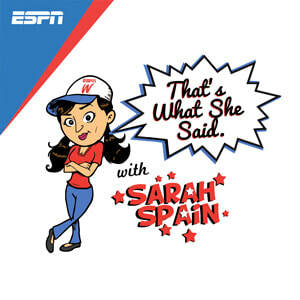 ), I’ve been thrilled to follow Sarah Spain’s career rise to the national sports scene (former Chicago Sports Reporter turned ESPN mainstay). I enjoy watching her on shows like “Mike & Mike,” “His & Hers,” “First Take,” “The Sports Reporters,” and “Outside the Lines.” So, naturally when she created a sports related podcast, I quickly jumped on, to be both subscriber and fan. As an early Spain bandwagoner, I appreciate her insight, intelligence, and candour through a Chicago sports lens. Spain was and continues to be a female journalistic trailblazer! As I listened to these horrifying tales, I felt both compelled to action and frozen in hopelessness. In October of 2017, when Tarana Burke, Alyssa Milano and countless celebrities came forward to create the #MeToo movement on social media as an attempt to demonstrate the widespread prevalence of sexual assault and harassment, especially in the workplace...I again felt anger and sadness for what countless women have endured. It’s a similar feeling to watching black oppression play out on the big screen in award winning movies like “Fruitvale Station,” “12 Years a Slave,” and “The Butler.” Or more recently watching LGBTQ folks fight for freedom, equality, and acceptance through political advocacy. However, these moments aren’t just movies, podcasts, or clips on You Tube. They’re real stories experienced by real people. Now, I don’t work in sports, politics, or movies. So I was left with the empty feeling of what could I realistically do to help remove barriers and decrease hate?? People don’t wake up one day and just decide to hurt, assault, or oppress someone. All of these character choices start getting developed when their quite young. These choices start in school locker rooms, hallways, and classrooms. They begin on young people’s first IPhone, sports team or playground. As a Character Strong school striving for an Award Winning Culture, I’m in a position to influence and impact not only the school culture that our next generation grows up in but the mindset, beliefs, and internal dialogue these students will take with them, for the rest of their lives. ​Additionally, and perhaps even more powerful, as educators we have the opportunity to attack the biggest barrier to creating a kinder world. When we inspire, and enlighten students with hope it has the meaningful ability to propel them into future workplace and community leadership roles that create real lasting societal change. This change has the potential to eradicate hate by forever shattering the ceiling on student voice, choice, and dreams. When we allow every student to dream big and then give them the tools and inspiration to accomplish those dreams, many more women, minorities, and culturally oppressed groups invariably find themselves in posit​ions of leadership. 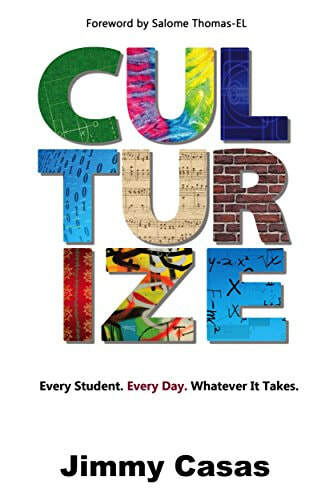 Award Winning Culture occurs when every student believes they’re capable and equipped to have success in the roles, jobs, and pursuits they desire. Indeed when we teach #FutureDriven, we illuminate the path for students to reach higher and ultimately encourage them to pull up others as they find sustained and meaningful educational success. And, if these talented youth are armed with empathic hearts, educators create generational positivity that ripples throughout the world. Thus, educators have the privilege to shape workplace culture for the future. Prabhu reminds me of a student I used to have (now a high schooler) in all the best ways. I so wish I would’ve provided this AWC podcast platform last year as she would have been INCREDIBLE in this student voice opportunity. Had we created this a year ago, she would have been the perfect choice to help kick-off this project based learning. This student, who was an 8th grader at Enterprise Middle School last year, was brilliant, kind hearted, and filled with a servant leaders mindset. She embodied Character Strong and shared a few takeaways in this student blog: "A Student's Perspective." Take note of how she views an emphasis on the Whole Child positively impacted herself and her school. 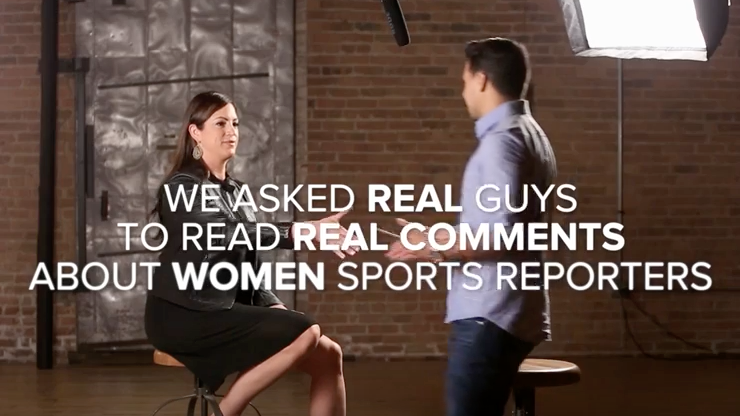 "Women have an important voice in the tech space," says Prabhu. 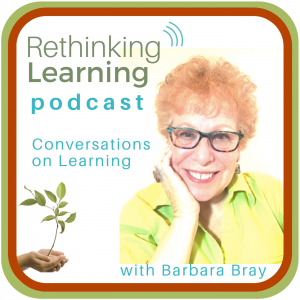 Barbara Bray’s ReThink_Learning, Barbara Gruener’s Character Speaks, and Jennifer Gonzalez’s “The Cult of Pedagogy” are shining examples of exceptional female-led podcasts. 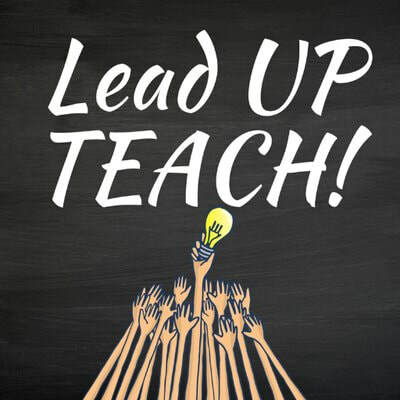 Additionally two of my favorite administrators: Jennifer Hogan and Allyson Apsey have teamed up for an epic new podcast for women in educational leadership: “Rising Tide Radio.” Finally, Elisabeth Bostwick, Laura Gilchrist, and Heidi Veal have created a You Tube podcast called "LeadUpTeach," which offers viewers meaningful educational dialogue by 3 powerful educators. Each of these shows are OUTSTANDING! If you're not already a subscriber to these 8 ladies shows...stop reading now...and go SUBSCRIBE. Both Barbara’s have even graciously offered to have some of our Award Winning Culture podcasters on their respective shows. An opportunity we fully intend to accommodate after winter break. WOW! Here’s a student who recognizes the inequity of the situation and has the voice and platform to explore this topic. No doubt, it’ll be a good podcast! “Intelligence plus Character that is the goal of a true education” -Martin Luther King Jr.
My promise to all the strong women, minorities, and experiencers of inequality is to provide: HOPE. **I promise to model Kindness, Service, and Empathy for every student at my school. **I promise to positively influence the next generation of leaders both with my actions and words. **I promise to continually engage community resources like SARC (Support Advocacy Resource Center) in an effort to teach young people HOW to treat one another. **I promise to seek out platforms, voices, and experiential learning to empower, educate, and enlighten not only my podcasters but each and every student I connect with. Hans Appel has been a school counselor in the Richland School District for the past 17 years and at Enterprise Middle School since it opened. He's passionate about school culture, servant leadership, and kindness. Without question, my 10th grade year proved to be my toughest in terms of health and wellness. In late December of 1991, I came down with a full blown case of Pneumonia; which in turn, landed me in the hospital. During my time away from high school, our head varsity coach had also been fired. This unexpected shakeup to my beloved sports team, was hard to comprehend. Additionally, I had missed numerous assignments, projects, and tests. Furthermore, this health ordeal coinciding with my 16th birthday as I literally was hospitalized 2 days after recieving my driver’s license (FYI: I was born on Christmas Eve...so for those reading closely, you probably guessed that my Christmas looked a little different than most). As you can imagine, losing 15 lbs, missing multiple basketball games, and over 2 straight weeks of school might prove to be extremely anxiety provoking. How would I get caught up? Did I lose my spot on the team? Will I be interrogated about my excessive absences? Do I remember how to drive my car? Will my friends care than I'm gone? Luckily for me, I had numerous teachers, coaches, and educators who prescribed to an Award Winning Culture. These Character Strong educators visited me in the hospital, brought me cards, assignments, and encouragement. Personal connection can be incredibly healing to the mind, body, and soul. Then, as I recovered at home, folks were lined up to wish me well, check-in on me, call me on the phone, and generally facilitate my transition back to LIFE at school. They even continued this wellness watch as I returned in mid-January by greeting me with smiles, “Welcome Back Hans,” and helping me prioritize and strategize how to tackle the MOUND of school work. Nearly 27 years removed from this health tribulation, I occasionally find myself wondering what might have happened if I wasn’t intentionally treated with such positivity, dignity, and respect. Award Winning Culture establishes conditions of positivity and warmth, to support students through absence. Educators recognize that excessive absence comes with elevated anxiety and decreased educational self-efficacy. By intentionally reaching out during and after attendance struggles, educators provide students with HOPE. I recognize that educators have numerous students in their classrooms, caseloads, teams, and schools to keep track of. But as a kid who struggled through an extended health related absence, I want to assure you that your time, energy, and compassion matter. It mattered to the kid who had to stay home with a younger sibling. It mattered to the kid who came down with mono. It mattered to the kid who had school based anxiety. It mattered to the kid who struggled with a learning disability. It mattered to the kid who returned home from Disneyland. It mattered to the kid who returned to school with a broken hand. It mattered to the kid who failed to set his alarm because his parents leave for work at 5am. It mattered to the kid who was kept home, as a discipline punishment. It mattered to the kid who wouldn’t show up because he had no clean clothes. And…..
Now, don’t get me wrong. We all know that consistent attendance matters to student learning. The research is clear, student attendance and student success are directly linked. 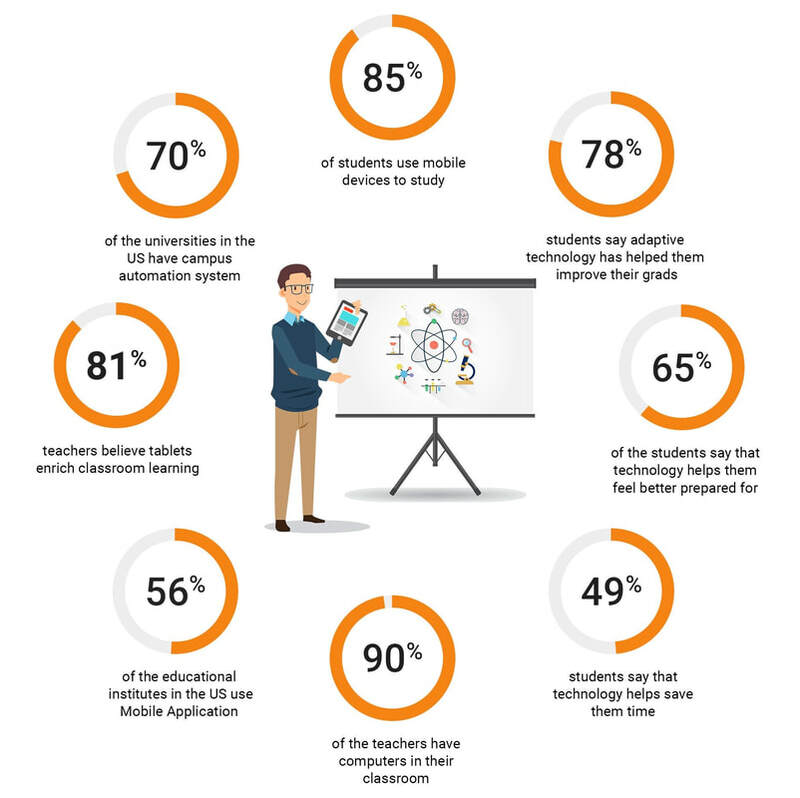 Creating systems that inspire and encourage exceptional attendance is crucial to building educational momentum that exudes student empowerment. However, we run the risk of damaging student and/or parent relationships with obtuse responses. 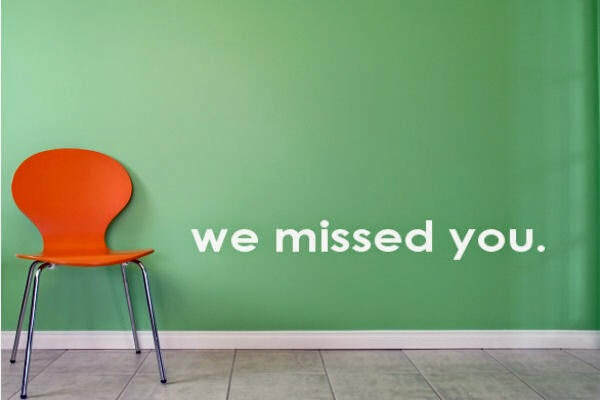 Furthermore, our unenlightened or nonexistent feedback might have the unintended consequence of perpetuating student absence. 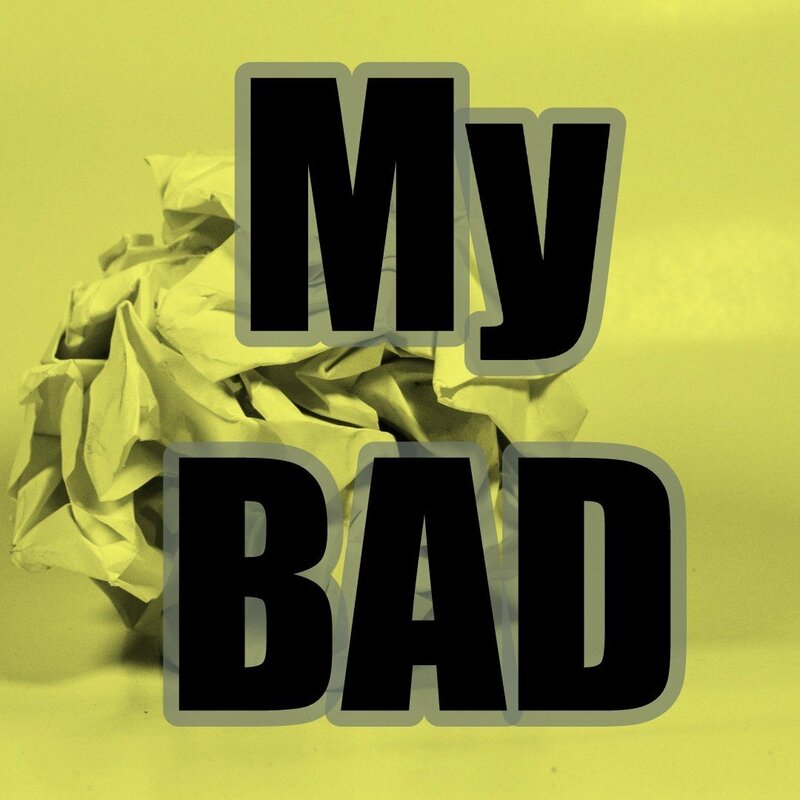 My challenge to educators is to examine your own behaviors, words, and feelings toward students who miss school. What messages are you sending them, as they return to school? How might you “WELCOME BACK” your students TODAY? Last Thanksgiving, one of my life-long best friends suffered a cardiac arrest on the way home from a basketball team retreat. Thanks to the quick actions of two CPR-trained, Character-Strong friends of ours, they were able to get the help he needed, in a timely fashion. Almost a year removed from this scary incident, my long time buddy and fellow Wildcat Nation educator, Ben Brost, has made a full recovery! It feels appropriate to share a moment of thanks and insight learned from his ordeal. Brost is that guy in your life, who would give anyone the shirt off his back. He’s a servant leader in its truest definition and he sees the good in everyone and is truly a friend to many. He’s a guy that has a million best friends and eager to support all of them. In the months that followed, people stepped up to support Brost and his family in ways that are unimaginable. Friends and family dealt with insurance, lesson plans, child care, pet care, meals, doctors appointments, and coordination of travel arrangements. People gave ridiculous amounts of money, time, and countless energy to support Brost’s family. It's mind-blowing to imagine how many little and big life details someone needs during a health scare. While Brost’s recovery easily qualified as a miracle, our communities strength proved equally as miraculous! An event like this can trigger reflection on mortality in a way that everyday life often ignores. Some folks discover who their true friends are when challenges arise. The sheer number and force of caring people were...at times...emotionally overwhelming for Brost and his family. Separated from the intensity of feelings that I experienced last year, I’m now in a better place to seek out learning and self-discovery to help codify this painful tribulation into a life reminder. How am I communicating that...I gotcha? Of course human instinct occasionally devolves into me wondering who in my life has my back. But the truth is, I have zero control over who’s willing to support me. 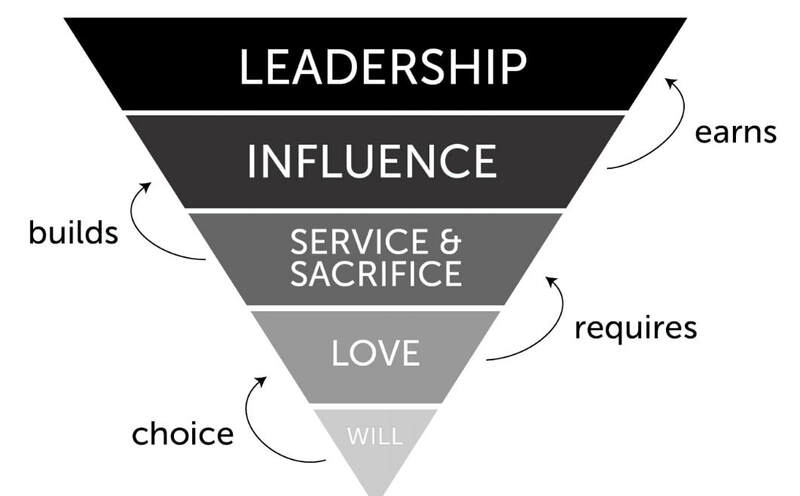 Instead, my influence is limited to who, how, and what I intentionally do for others. I suppose the best ways to indicate my ability to step-up is by intentionally modeling a willingness to help others. 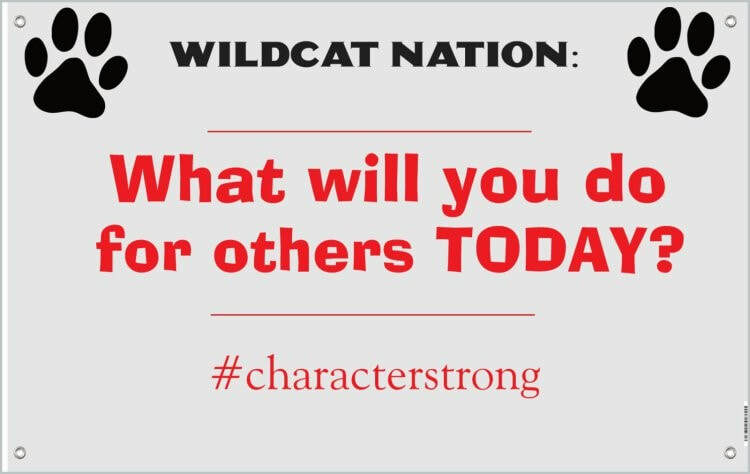 I’ll bet students, peers, and even friends and family are giving us daily opportunities to put character into action (A.K.A Leadership). Perhaps, they’re even testing us with the little stuff to see if we’re ready and willing to help with the big stuff. Who’s testing you? Sometimes the best gift we can give others is to give them our full attention. Are you seeing and hearing the students, staff, and peers, who need your help? Maybe rather than keeping relationship score based on likes, retweets, and followers we should ​CONNECT with people in a deeper way. I think an Award Winning Culture establishes conditions where people seek true human connection by how they’re willing to serve others. I wonder if this age old adage from adult to youth of the need to ‘surround yourself with people who YOU can count on’, is too simplistic and short-sided. Students must learn to measure success in relationships by how THEY'RE willing to serve, nurture, and foster their ability to Choose Love on a daily basis. Afterall, the real joy, in life is not simply derived on receiving love but moreover in GIVING LOVE. **What if our schools were filled with students whose self-esteem was directly tied to the positive impact they had on others? **What if our communities celebrated kindness, service, and empathy above status, money, and attractiveness. How will you communicate “I GOTCHA,” to the people in YOUR life? How often do YOU...work on...YOU? Yesterday, I was thrilled to be at a Washington State ASCD sponsored training with Kristin Souers. Kristin is an expert in creating Trauma Invested schools. She’s the co-author of “Fostering Resilient Learners” along with Pete Hall. 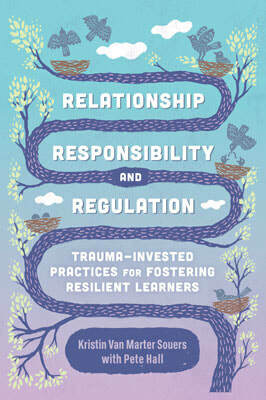 Their second book: “Relationships, Responsibility, and Regulation” will be released this December and their highly anticipated inaugural “Trauma Invested Institute for Fostering Resilient Learners” is available to educators next summer in Seattle, Wa. As a licensed mental health counselor, professor, speaker and consultant on trauma, Kristin’s work pairs perfectly with the Whole Child work of Character Strong. Last year, in our early stages towards building an Award Winning Culture a veteran colleague said to me: “this is all great stuff Hans, but it’s all gonna come down to whether our leadership kids buy-in to this work and keep it going.” While I’m the first one to recognize the impact that a group of talented leaders can have on a school’s culture and commitment to creating a safe environment, her words really bothered me that fall windy day last October. In essence, she was underselling the influence of all the other students, staff, and parents on our school’s quest to infuse character and social emotional learning into the daily fabric of our school. Additionally, and perhaps more alarming; her narrow scope of impact was reducing her own effect on Enterprise Middle School's culture to that of a non-factor. Thus, she was putting the fate of our school culture in others' hands. As we all know, the only thing we actually control is ourselves. Hoping that someone else’s influence will create the experience you seek...is futile. But one’s actions, attitudes, and aurora can create a ripple of positive change that’s astronomical! My challenge to educators is to shift your mindset. Reposition your own professional learning to focus on YOU, not just your work. Stop thinking in terms of strategies, interventions, and techniques. This is why I’m such a proponent on something I’ve deemed Educational Cross-Training. If I take the time to work on me, I’m invariably improving my students' educational experience. 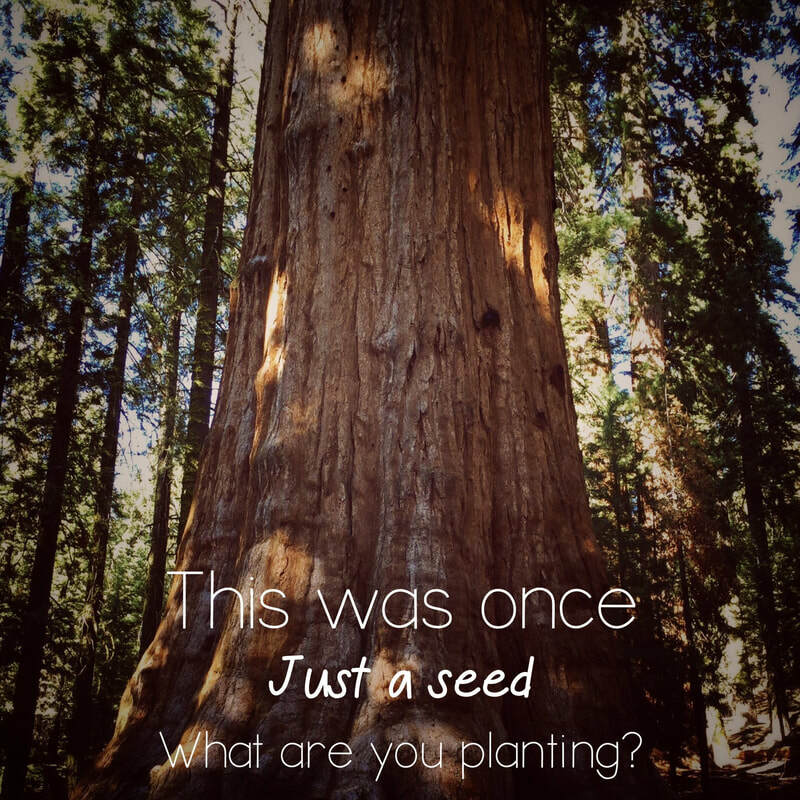 When I grow as a person, I provide my students and peers an opportunity for growth. 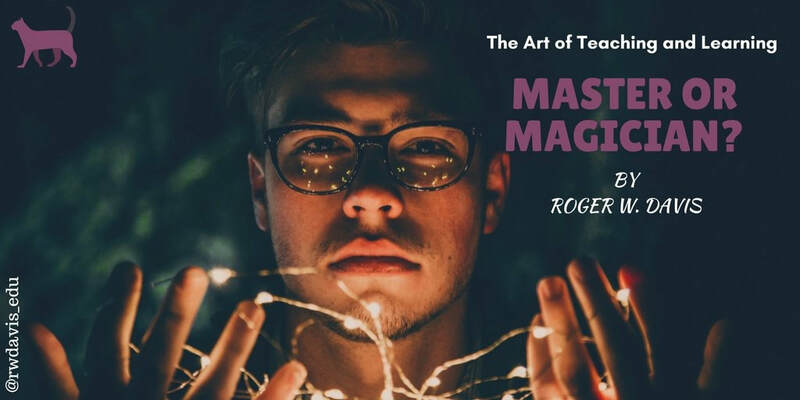 Harness the magic of your own strengths while aggressively moving outside of your own comfort zone into spaces like vulnerability, reflection, and self discovery. Hans Appel has been school counselor in the Richland School District for the past 17 years and at Enterprise Middle School since it opened. He's passionate about school culture, servant leadership, and kindness. Through the years, I began to put a little more focus on practicing daily kindness. 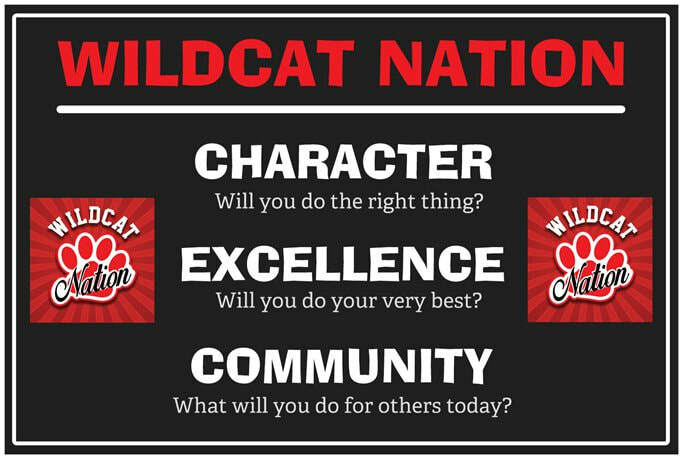 As part of our school-wide PBIS program, staff would write “Wildcat” cards to students and other staff members. 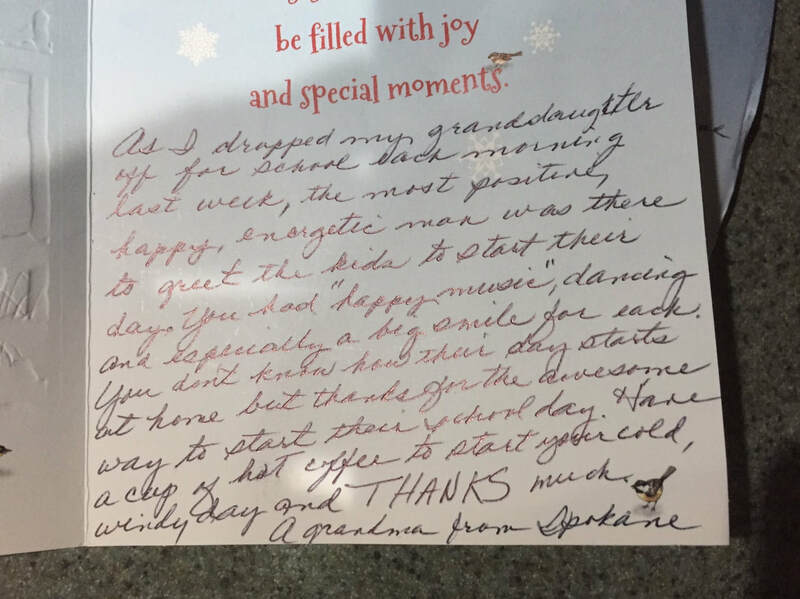 These were little gestures of appreciation or acknowledgement that were delivered to unsuspecting folks with words of encouragment, grattitude, and positivity. For all intense purposes they were kindness cards. Students and parents proudly display these cards on refrigerators, walls, and social media. They take very little work but mean something special, to the person who recieves them. Over the last few years, I slowly made similar small amounts of effort to promote kindness at school (Positive Phone calls home, Intentional E-mails to staff members, etc.) BUT STILL I never really understood the full impact Kindness and culture could have on LEARNING. ​Houston is the co-founder of Character Strong, and the creator of the Choose Love Movement and #MakeKindnessNormal campaign. Houston is a force of nature that literally turns anything he touches to rainbows and sunshine. He’s a speaker, educator, and kindness ambassador of the highest order! He inspires with action, words, and intention. He literally flipped all my thoughts about kindness upside down. 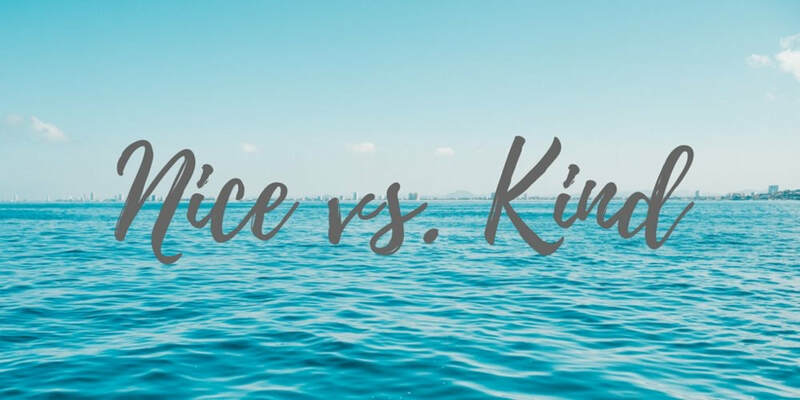 Houston preaches that while being Nice is reactive, Kindness is Proactive. It’s action oriented and in a school system can create life altering results. Studying his life’s work, spending time with him, and developing my kindness muscle, I began to form a new understanding of Kindness. Perhaps….Kindness is the small intentional gestures that fill others with JOY. And in a school system, kindness is the ozone layer of emotional safety which allows students to focus on learning. Some of the most successful schools in the country are focusing on this Whole Child brand of school culture. Harlingen High School in Texas is a leader among Kindness movers and shakers. Their student council's focus on creating a school where everyone feels safe, loved, and supported has been outstanding! Hanford High School, in Richland, Wa has created a #FalconFamily approach to school connectedness. They strive to treat all falcons with respect, care, and attention. For years, Sumner High School, in western Washington has had a group of students hold doors, at every entrance in the school. These longstanding acts of kindness have inspired schools around the country to make this form of service, best practice, in their communities. In Western Wisconsin, 26 school districts have bound together to form a network to infuse Character Strong’s Whole Child approach to kindness throughout an entire region. In fact, local Wisconsin business leaders are so passionate about helping students create cultures of kindness, they’re FULLY FUNDING the entire Character Strong program (training, curriculum, etc.) Yeah, I know! What a forward thinking community! 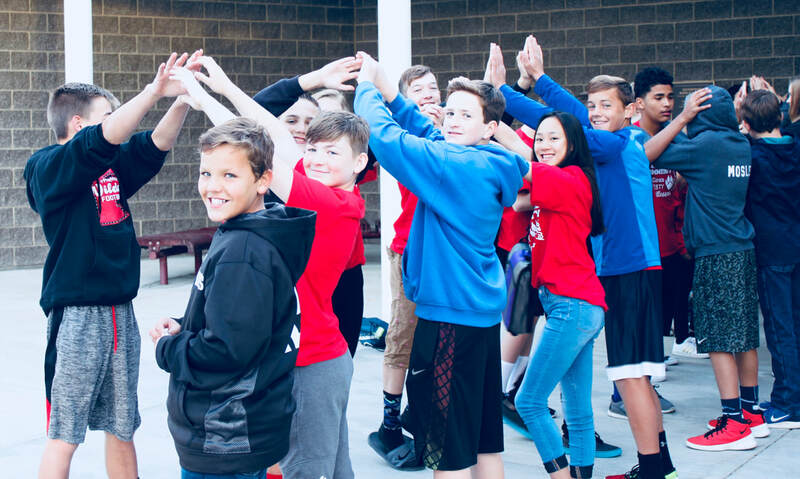 Enumclaw Middle School, near Seattle Wa produces videos, by leadership students to remind students and staff of the power of kindness. By providing weekly teachings on the impact of Choosing Love, Enumclaw sets the standard for student voice in creating positive change. A few months into our Character Strong journey, a co-worker asked me, “So, when do you think this culture of kindness will just manage itself?” The underling querry being, is there a point at which we can all just take a break and watch this masterpiece of culture self-sustain? If I’m being honest, I wrestled with this question for a while before falling back on a critical word: INTENTIONAL. Sometimes we’re lucky enough to tell the "right" girl, you know….the one who really needs some kindness that her shoes are “cool.” But, if kindness isn’t an intentional standard practice in our schools everyday we’ll miss out on the opportunity to positively flip other students who desperately need to feel accepted, loved, and valued. How many students or staff are just hanging on by a thread? How can anyone feel eager to learn when they’re not safe, comfortable, and welcome. Shouldn’t an emphasis on academic excellence begin with a focus on creating a community where learning is possible. It begins each day with Kindness…..
How will you create your cultural masterpiece of Kindness? **Roman Nowak, Roman is a teacher from Ontario, Canada. He's a strong advocate for Kindness through his writings and leading of #BeKindEDU Twitter Chats. He’s a teacher who believes in his students ability to accomplish incredible feats! **Eli Casaus, Eli is a Principal, lead learner and Edu Innovator at Navajo Elementary School in Albuquerque, NM. Along with Roman Eli facilitates #BeKindEDU Chats on Twitter. Both Roman and Eli challenge me to step up my kindness game! **Tamara Letter, Tamara is a writer, presenter and innovator who’s inordinately passionate about teaching students through kindness projects. Her warmth and compassion come through in all her student’s projects. 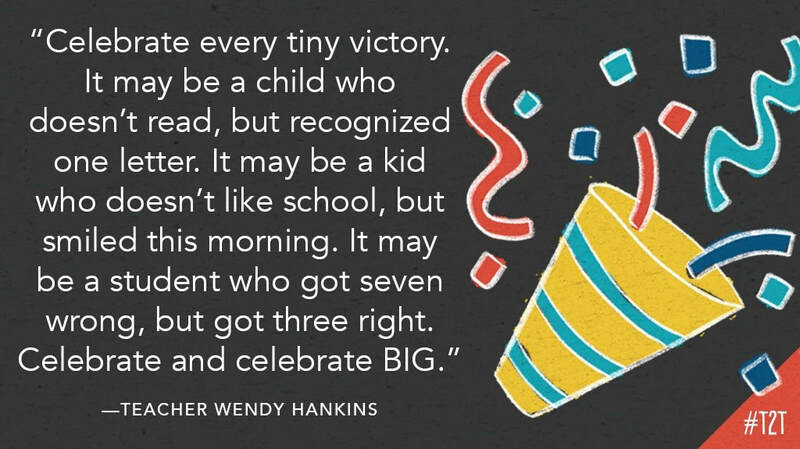 ​**Wendy Hankins, Wendy is a shining example of Kindness! In addition to being an outstanding elementary teacher and creator of @KindKidsAtKirk, and #HeardItFromHankins she's a passionate blogger, learner, and educational disrupter. She leads with heart and love and is simply raising education to it's highest level. **Laurie McIntosh, Laurie is a Kindergarten teacher at Father Lacombe Catholic School in Alberta, Canada. Her passion for teaching and providing her students with opportunities for kindness, landed her on the Ellen Show. She’s the co-founder of The Kind-Club and an outwright kindness warrior! **Matt Bush, Matt is an Administrator, writer, and presenter from Southport Middle School in Indianapolis. 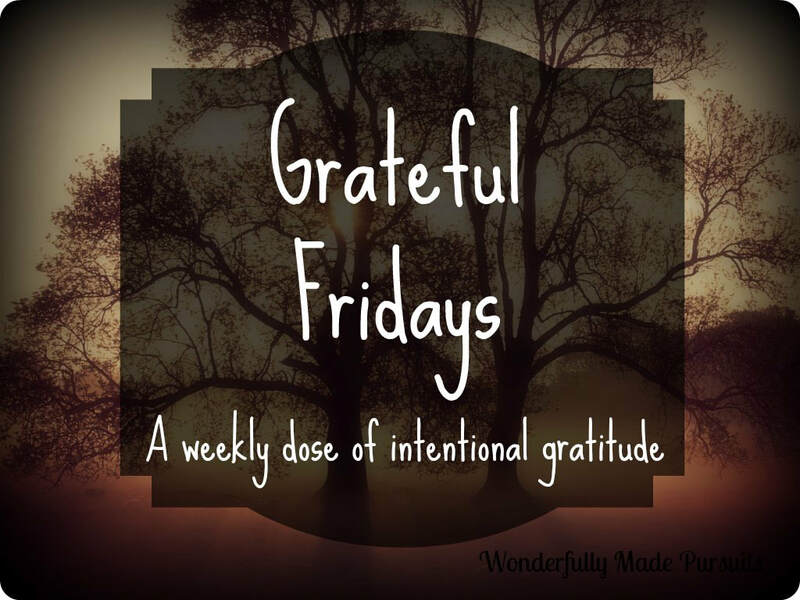 He’s the creator of the Grateful Friday Challenge and the Month-Long Kindness Challenge. 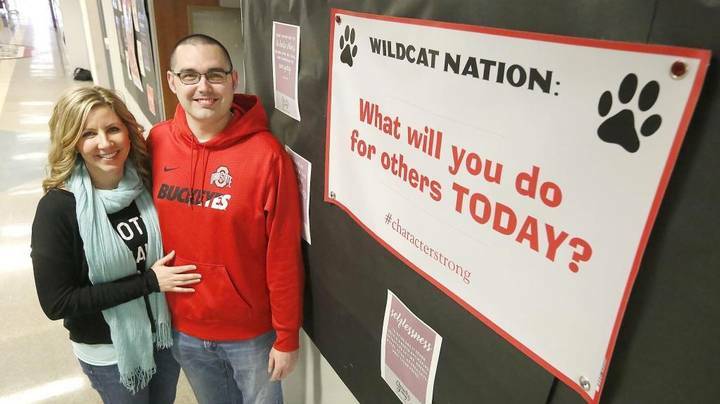 Matt inspires others to believe in the power in of kindness! **David Volke, David is an outstanding leadership teacher at Liberty Middle School, in Camas Washington. He’s a dedicated Character Strong educator who is committed to teaching his students to become kindness superstars. He also makes a really cool kindness braclet that he gives away to fellow educators he comes into contact with. **Michelle Thompson, Michelle is an incredible teacher and agent of change in the Kennewick School District. She's a leader, innovator, and outside the box thinker. She's passionate about culture, servant leadership, and student learning. Her positivity sets her apart from the crowd and I love her willingness to do ANYTHING to make her school, district, and community a kinder place. **Meghan Lawson, Meghan was an Ambassador of the Kind Campaign and an Associate Director of Secondary Curriculum & Instruction at Forest Hills School District. Although she's moving on to be a Coordinator of Instructional Services at a local Educational Service Center. She’s a positive dynamo who believes in the goodness in students, staff, and community. **Nicholas Ferroni, Nicholas is a Social Studies teacher from Union High School, New Jersey. In fact, Nicholas might well be one of the best teachers in the country. His social media presence focused on going above and beyond for his students, fellow teachers, and educational profession have made him legendary. But the true measure of this outstanding leader is in the kindness he inspires around him. Check out one recent clip of Nicholas using the power of social media to impact one family. **Phil Boyte, Phil is a School Culture consultant, speaker, and writer. 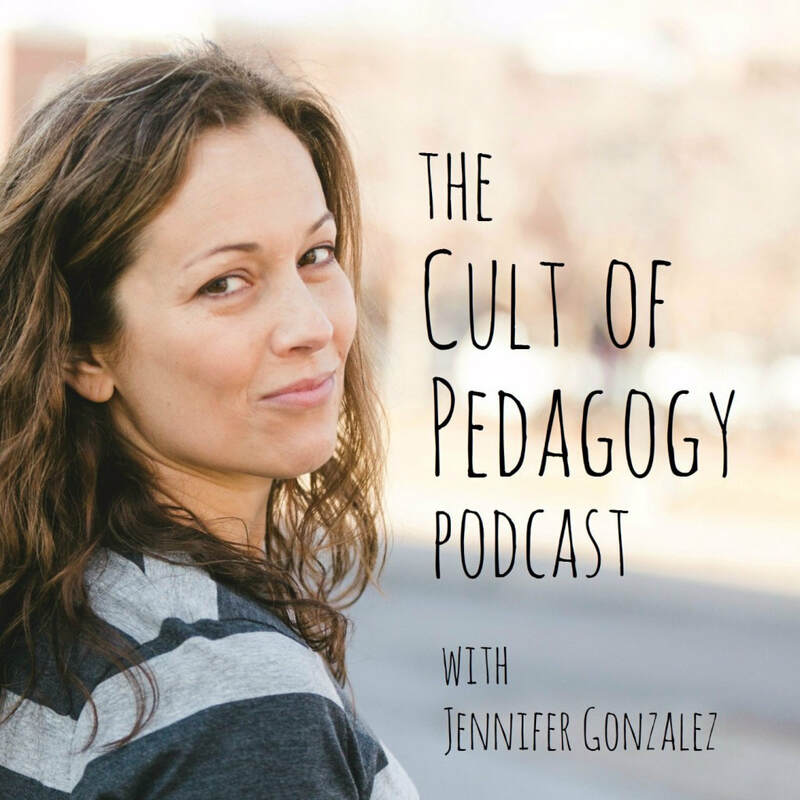 His podcast: “School Culture by Design”, is recognized as one of the best sources in learning about the intentional implementation of a culture of kindness. ​**Taylor Armstrong, Taylor is a systems specialist at Vestavia Hills City Schools in Alabama. He's the co-creator of #smaththesilence which focuses on removing the stigma of mental health in schools by changing the conversation, support, and secrecy around student and staff mental health. **Dr. Jessica Stephens, Jess is a Vice Principal at Durfee High school in Fall River Massachusetts. She’s a writer, leader and forward thinker of all things love and kindness. She’s the creator of #LoveWorks and is proof postive that when we lead with our heart and trust in human connections, our schools can achieve amazing results. 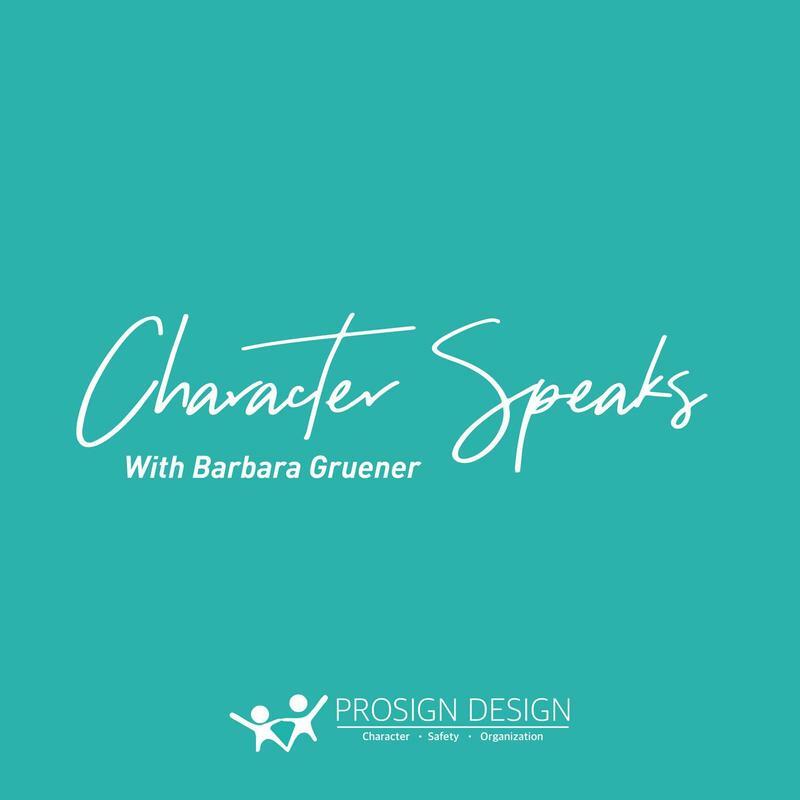 **Barbara Gruener, Barbara is a recently retired school counselor, author of "What's under your cape", avid blogger, and passionate podcaster (Character Speaks). She oozes kindness and compassion by walking the walk and talking the talk. Counselors all around the country look up to her as a beacon of light and a resource for real world inspiration. 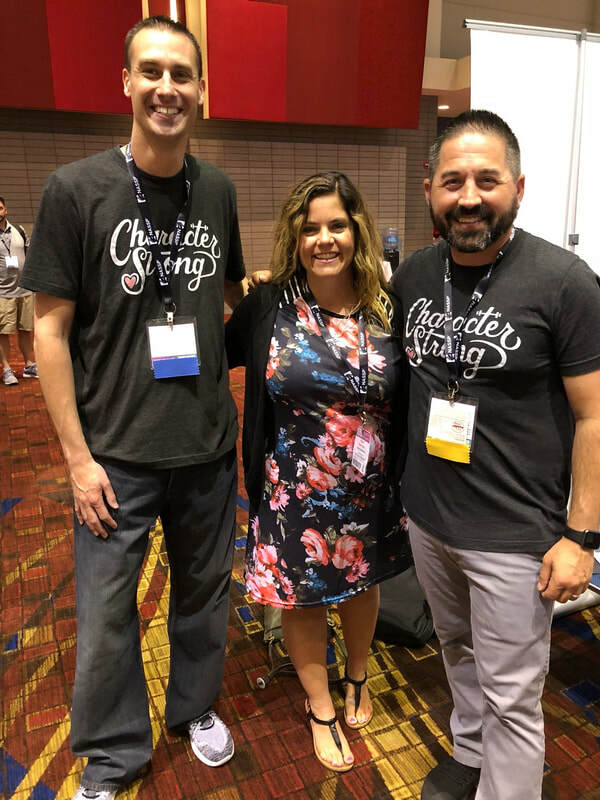 This spring she'll be working with the team at Character Strong to roll out an elementary curriculum. ​**Bethany Hill, Beth is a lead learner, Chief Energy Officer and Storyeller at Central Cabot in Arkansas. She's the creator of #JoyfulLeaders and ﻿#EduAr﻿ and uses her platform to share kindness, joy, and positivity with the world. I feel lucky to count her in my PLN! Who might you inspire today...just by noticing...their “cool shoes”? **Student Ownership is Key. They have to be involved in all areas of production (brainstorming, pre/post, practice sessions, branding, music, research, question development, etc.) Even the design of our podcast space has student fingerprints all over it. Success in fostering student voice lies in the balance between guiding and support. 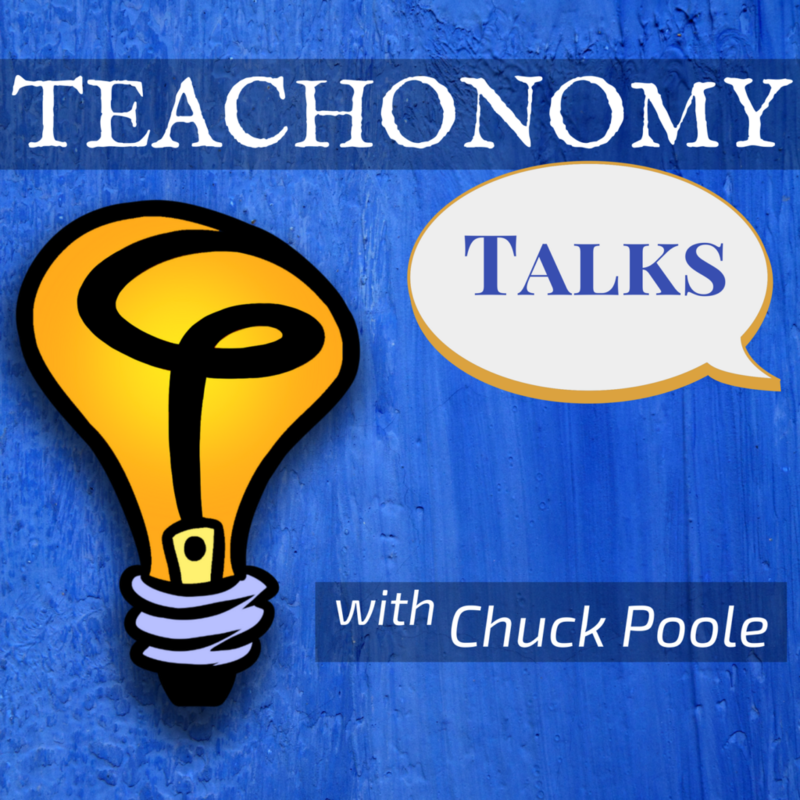 This podcast is providing the adult educators with a master class in how to teach, facilitate, and cheerlead, all at the same time. CHALLENGING! We must create conditions that allow students to be themselves while playing to their unique strengths. **Interview Guests must receive full Wildcat Nation experience. Whether this is a live, in studio guest or a phone interview, folks who donate their time/energy to be on the show deserve to have an Award Winning Culture experience. I’ll be writing extensively about this in future blogs but think about it this way: some of the authors, experts, speakers, and leaders we’ll have on this year have been interviewed frequently. How will we make their AWC experience memorable? **You don’t CONTROL Robin Williams. Have you ever watched an interview with the late great comedian Robin Williams? If you have, you know...you can’t control the interview. His rare comedic talent was a sight to behold. The most successful hosts always stepped back and let Robin shine by abandoning their need to control the questions and pace of the format. Allowing our podcast guests to have fun and be themselves is essential. Not only are comfortable guests more likely to open up and share authentic insights. The BEST material seems to come from the least scripted parts. Furthermore, this strategy of enticing unscripted moments is great for our students as well. While it’s great to have a plan or template for each show, and it’s particularly important when working with adolescent voices; there’s an element of whimsy that really creates the magic in each episode. We’re not there ‘YET’ but we’re slowly working on it. **This is one of the most UNIQUE and crazy adventures I’ve tried in my professional life. Why on earth, I thought I could create a podcast that asked teens to be themselves when they DON’T EVEN KNOW WHO THEY ARE YET...Insane! But here’s the thing...INSANELY AWESOME! I have the privilege of helping outstanding teens wrestle with things like CHARACTER, LEADERSHIP, and their PERSONAL WHY. And these students who are brave enough to do this, in such a public forum are providing such a special gift for teens, educators, and parents around the country. The magnitude of this new path we’re forging is not lost on me. This promises to be a life changing project for all involved! 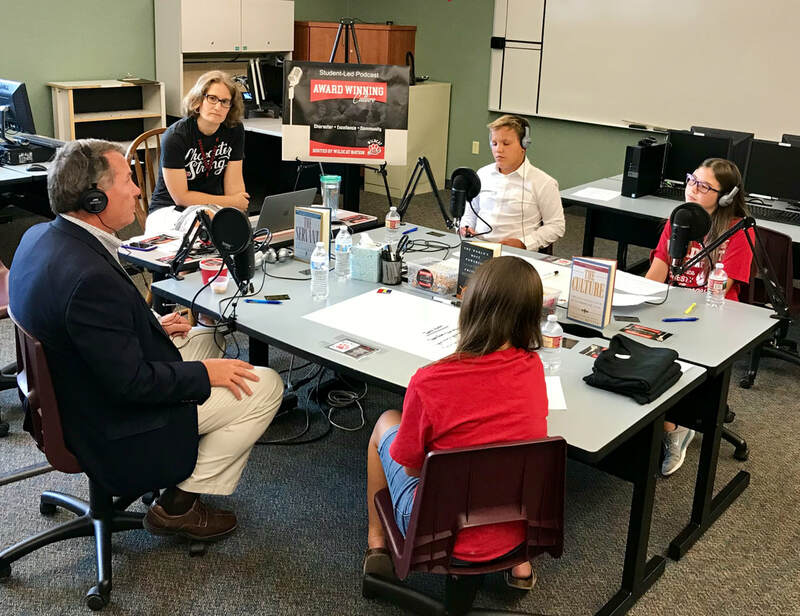 Will YOU and YOUR STUDENTS take the imperfect journey of “Voice Lessons” with Wildcat Nation by SUBSCRIBING to our podcast? Years ago, a high level administrator asked us: “what’s the point of middle school?” At the time, it felt like an insulting question to a group bound together with the crazy singular purpose of teaching young hormonal minds and hearts. But at the the core of the question was: WHO is Enterprise Middle School? And maybe more importantly: WHY EMS? What is your school about? What makes your building unique? How do you convey that message to your various stakeholders? What perception do students, staff, and community have about your school? Branding refers to a name, term, decision, symbol or other feature that distinguishes an organization or product from it’s rivals in the eyes of the customers. ​We can all recognize uber popular brands like: Nike, Apple, or the LA Lakers. We’ve grown up on McDonald's, Coca-Cola, and Disney. Through the years, our world has been turned upside down with brand giants like Google, Netflix, and Amazon. Branding isn’t just about school choice, it’s a way of creating a community and shared belief system for your school culture. There are schools doing incredible work with branding. 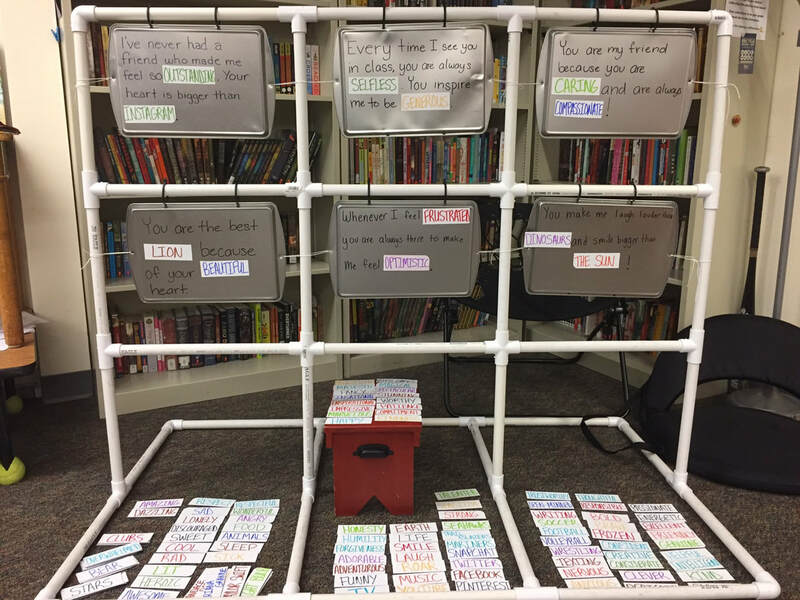 Mandy Ellis, principal of Dunlap Grade School in Illinois has created a school wide movement centered around literacy. In her book “Lead with Literacy,” Mandy details the power of infusing and fostering a culture of reading into the fabric of her elementary school. She encourages educators to integrate literacy in aspects, locations, and messages of the school. Her book should be required reading for any Humanities teacher, administrator, or librarian. And at the heart of her work is branding her school with something that’s hard to argue with: Reading and Writing. Slackwood elementary school in New Jersey believe “we’re all part of one golden heart.” Jay Billy, former Slackwood Principal and author of “Lead with Culture,” suggests that culture is what really matters. And Slackwood’s brand is evident to all visitors as illustrated by a recent post from Tara Martin (Administrator/Author) who says educators must “BE REAL” (#REALedu) and that Bily and Slackwood’s brand of putting culture front and center is as real as it gets. Check out her entire Slackwood experience at: "All the feels-Lead with Culture." But Bily and Martin both know that if our brand only “exists” when parents or other school officials are visiting our building….then it’s not a brand based in reality. Dr. Joe Sanfelippo, author, speaker and superintendent of Fall Creek School district in Wisconsin says "your brand is what people say about you, when you're not there." After all, a school is only as good as the EXPERIENCE of it’s students. Great leaders like Bily, Martin, and Sanfelippo recognize that creating a brand of culture-first takes time and a commitment towards leading with the heart. Branding often begins with a vision in mind. Some schools have parlayed successful hashtag visions into unique school brands to create a shared vision for success. Beth Houf’s #fmsteach, Sean Gaillard’s #CelebrateMonday or Matt Bush’s #GFC have provided their schools with intentional avenues to recognize and celebrate awesomeness in their schools. In other examples, entire districts are branding themselves. 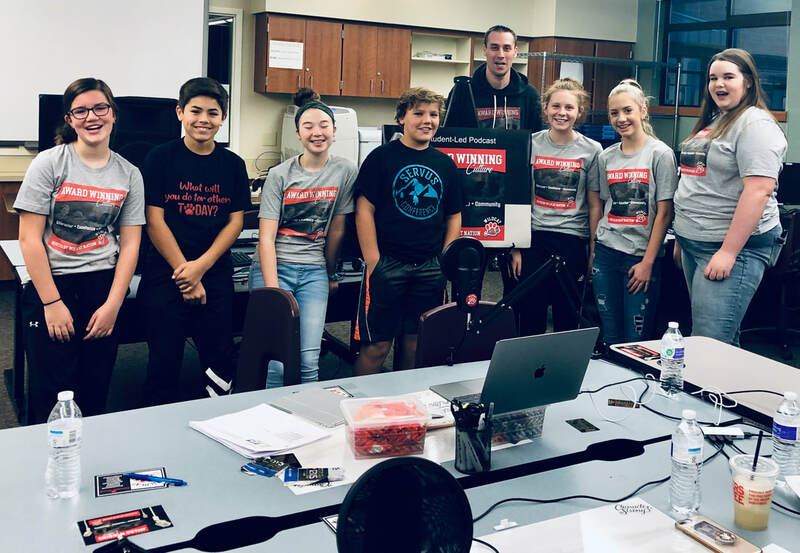 In Washington State, Selah school district cultivates lifelong learners through “the Viking Way.” They utilize specific social media, videos, and messaging to communicate who and what they are and WHY they do what they do. Key forward-minded educators like Susie Bennett and Marc Gallaway have helped lead "the Viking Way” into a community masterpiece. When I first started becoming aware of the rise of branding in education, I actually thought we were already ahead of the curve. We were heavily involved in creating yearly themes centered around success on state testing: “Rock the Test”, “Construction of Knowledge”, and “Learning is a Marathon”. We made t-shirts, had door decorating contests, and made assessment important throughout the year. We actually had a lot of fun with it! [Although I still have nightmares of our PE teacher dressed up as marathon man.] We took something that was inherently stressful, boring, and overwhelming to students and staff and attempted to create whimsey. Our teachers were spending time, money, and energy to infuse positivity around high stakes assessments. And to a degree these manufactured efforts worked. Our test scores and community positivity toward the assessments increased. But these positive changes were temporary and it quickly became apparent that they weren’t based in anything real. And therein lies the biggest mistake schools often make. Education has historically focused on creating themes rather than brands. A theme is a topic or subject of a talk, a piece of writing, a person’s thoughts or an exhibition. Themes are short lived often designed by a handful of folks or committee for a specific purpose. Whereas a brand is built by everyone and grounded in the organizations “Why.” Indeed, branding helps garner community support. School brands must go beyond mascots and logos and be rooted in authenticity. Some educators from my school might argue that in addition to our yearly themes, we had a defacto brand. For years, we used a slogan called “it’s great to be a wildcat.” I think we believed that if we said our school slogan outloud then people might act it into existence. This along with our WOW PBIS program felt similar to a brand. 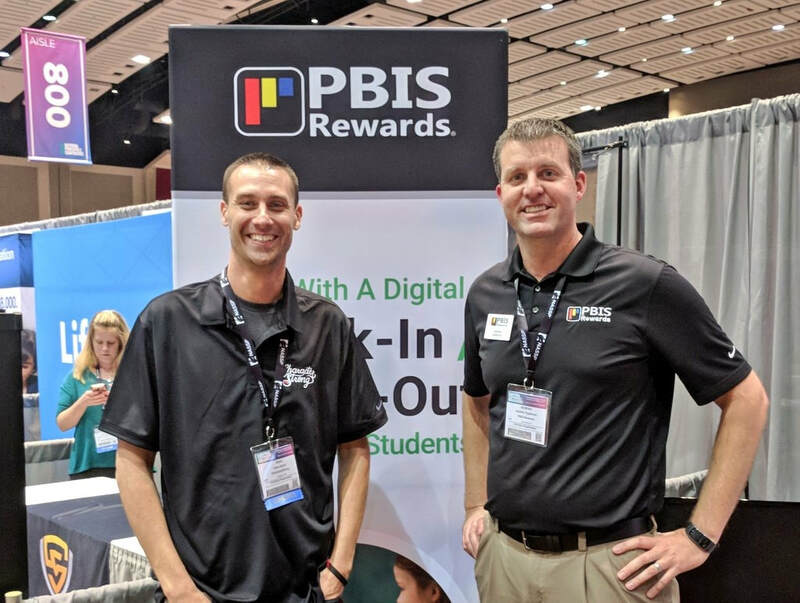 Our school’s PBIS program was even so popular we had the opportunity to present at several conferences laying out the details for other educators. And while there are many elements of that program that were successful and still live on at EMS, it was never really a brand. Here’s the thing...if your gonna say that it’s “great” to be a wildcat...then it better actually be great! And the truth is, back then, it wasn’t really great for everyone. While we were a good school, many students, staff, and parents would eagerly acknowledge that we were coming up far short of great. When comparing theme and brand this chasm of Wish vs. Reality can haunt the authenticity of schools. Perhaps the ultimate test of a brand is what happens to it, when new regime takes over. With staff and leadership turnover, does the “brand” live on OR does it get cloudy with educator change? Our’s got cloudy and quickly devolved into nothing more than a thematic gimmick. At EMS, we’ve been working toward a brand for a couple years...we are slowly growing toward something special. -Will you do the Right thing? -Will you do your very Best? -What will you do for Others Today? Award Winning Cultures need to be branded for all stakeholders to appreciate sustained efforts towards excellence. If we return to that slightly irrating question from before and make a slight alteration to it’s verbiage: What’s the point of YOUR school? How might you communicate that point? 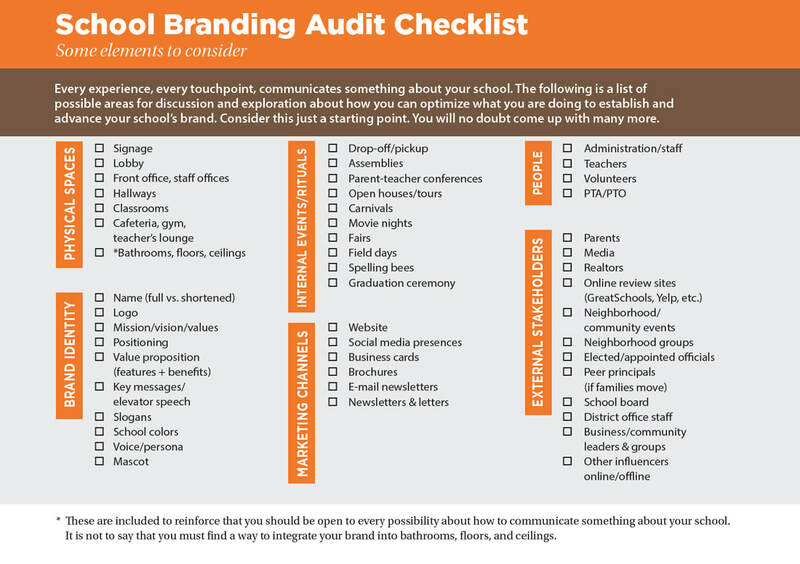 What steps will you take to evaluate your school’s brand? **Taken from a Raise Your Hand Texas article titled: "Branding Basics for School Leaders"
One of the highlights with Hunter included him regaling us with tales from behind the scenes of his critically acclaimed book “The Servant” over dinner. There’s something truly special about asking an author specific questions about choice, process, and background that led to such groundbreaking work. 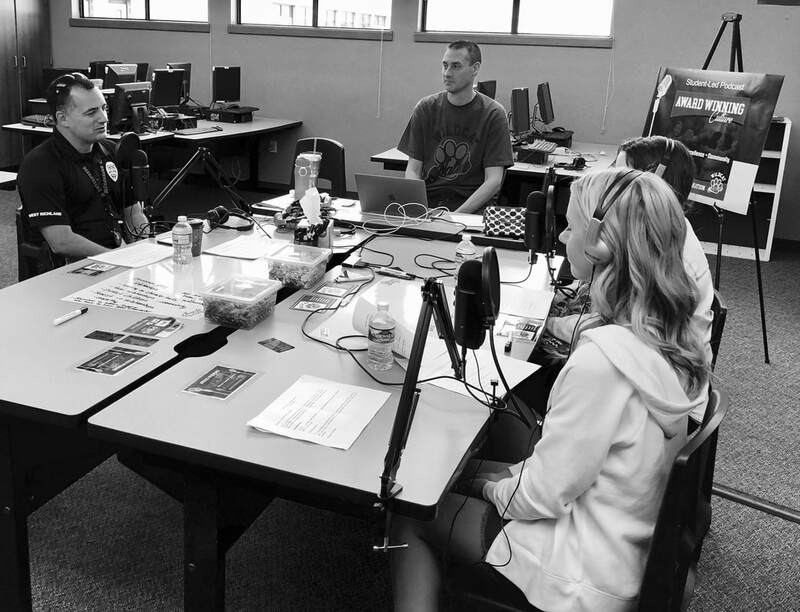 We were also fortunate to interview him for our Student-Led Leadership Podcast, Award Winning Culture: Hosted by Wildcat Nation. Hunter joined in our staff meeting as leadership students taught our teachers how to “Find Your Why” using Simon Sinek material and he even took a school tour of our new flexible seating classrooms. It was an exceptional time with this Character Strong gentleman! He explained that leaders with authority can influence greatness out of their folks by explaining that people will say things like “I’ll do it for her...but not for him.” He challenged principals by saying “are you the type of leader who creates a culture where teachers want to transfer to.” Furthermore, he believes that teachers should be striving for classrooms that students are begging to get into. As you can imagine, the 2 ½ hour presentation was peppered with Wooden-esk leadership brilliance. It’s the type of learning experience we dream our students might have, in our own classrooms..
A couple days prior to Hunter’s presentation, our principal (Jennifer Klauss) mentioned in a staff meeting that she would love #WildcatNation staff members to sit up close in the Richland High School Auditorium, for the leadership presentation. She explained that this would be a great way to show respect to Mr. Hunter and that she did not anticipate the auditorium being filled so it would be nice to all move toward the front. There was no mandate or requirement. She certainly made no threat or attempt to force us to sit up front. She simply said “I’d really appreciate it, if you guys would help me out and sit near the front” and then articulated why this was important to her. The morning of Hunter’s presentation was filled with excitement! Numerous EMS staff members showed up early with anticipation of listening to someone who’s work we had studied all last year. There was a buzz in the room, as folks were passing out handouts, helping set up technology, and chatting about Hunter’s books. As expected, every EMS staff member that entering the auditorium, invariably made their way down to the front few rows. Most everyone obeyed the ‘order’ and moved toward the desired front region of the auditorium. Although, it may not surprise you that there were about 4 educators, who came in and sat in the very last possible row of the auditorium. I’m not even sure they could see the stage, as they had a partially obstructed view. From my vantage point, it appeared to be a complete ‘screw you’ to the LOUD leader who was attempting to control the environment, as people entered the building. ​I couldn’t help but imagine if these 4 adults were instead students in a class led by this ‘leader’, how might this power struggle play out? Ultimatums? Threats? Calling an Administrator? Referral? Worse yet…Police? At the same time, standing near this almighty powerful ‘leader’ was a counselor, a vice principal and an officer from my school. While the other school’s ‘leader’ was shouting orders, these 3 servant leaders greeted, smiled and welcomed people into the auditorium. They shook hands, and happily showed up early to enhance others affect. It was a completely different experience, depending on who greeted you and what building you were from. I thought back to how different this might have gone, had this leader and other district leaders taken the time to set clear expectations of sitting in the front and explaining the ‘WHY’ behind the request. It was also a little sad to see how this quick negative experience for some, walking into the building, dampened their mood. Creating a welcome, positive start didn’t seem like rocket science but I could visualize how this negative greeting might play out in a classroom setting. Hunter, who has interacted with the best and worst leadership examples in the world is keenly aware of organizational climate and culture. He’s the kind of guy that listens uber closely and sees even the things you’re trying to hide. When he speaks, there is no wasted motion as every word has meaning and intention behind it. I expect he noticed part of the scene as at one point, he leaned over toward me and said “man, you have a lot of servant leaders...no wonder you’re playing above the rim.” His basketball analogy was a compliment to the Award Winning Culture that we’ve worked so hard to create. Additionally, his brief comment conveyed how powerful it could be, to intentionally focus on a culture of character, excellence, and community. As I sat down, in my front row seat; prepared to be dazzled by a master servant leader, I felt a warm sense of gratitude toward my principal and our Wildcat Nation culture. I’ll do it for her...not for him...for her. Are you leading with power or AUTHORITY? Hans Appel, has been a school counselor in the Richland School District for the past 17 years and at Enterprise Middle School since it opened. He's passionate about school culture, servant leadership, and kindness. Enterprise Middle School received the 2018 ASCD Whole Child Award in Washington, for its award winning culture and the 2018 Global "Class Act Award" for Kindness. By creating a culture of kindness, service, and empathy we've taken student leadership to an epic level.